hii sir, will you please provide me the details of the branch New Panvel of the Apna Sahakari Bank? there on the bottom of the page you may see the link of the branch locator click on that link . 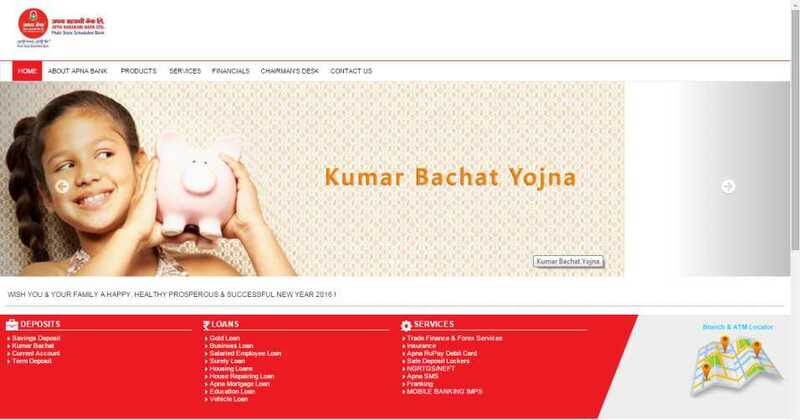 it may redirected you to the page from there you may get the details of the branches of the Apna shakari bank . for your convince here I am giving you the snapshot of that page .